The Qigong Certification & Daoist Training Center is the practice center of Shifu Michael Rinaldini (Li Chang Dao), a Daoist priest, Qigong Teacher, and founder of the American Dragon Gate Lineage. Medical Qigong, circle walking and meditation are the key practices that Shifu Michael teaches in all of his programs, both for local students and through his distance training programs. Shifu Michael offers three levels of qigong certification that are of the highest quality, and yet are affordable. He gives personal guidance to his students, whether they are local students and attend his weekly classes, or are learning from a distance, such as throughout the USA, Canada, the European continent, or Australia. 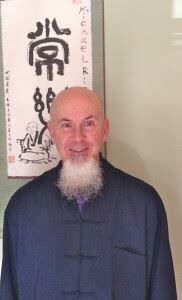 Shifu Michael has been involved in spiritual and healing practices most of his life, dating back to the early 1970’s with his monastic experiences. 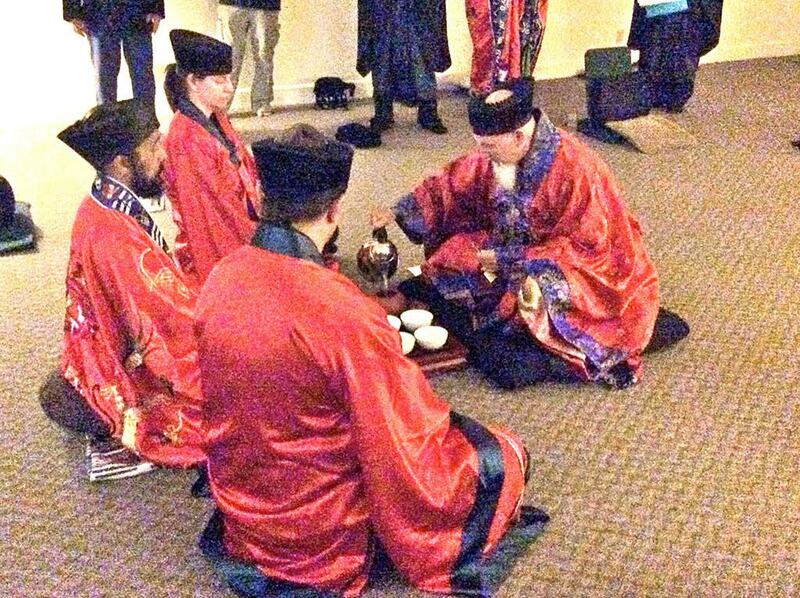 He has been studying qigong for more than 20 years, including four study trips to China. His main teacher is Master Wan Sujian from Beijing’s Bagua Xundao Gong Qigong Center. Shifu Michael is a Certified Qigong Teacher (Level 4-highest) by the National Qigong Association, and has led workshops at their annual conferences for the past ten years. 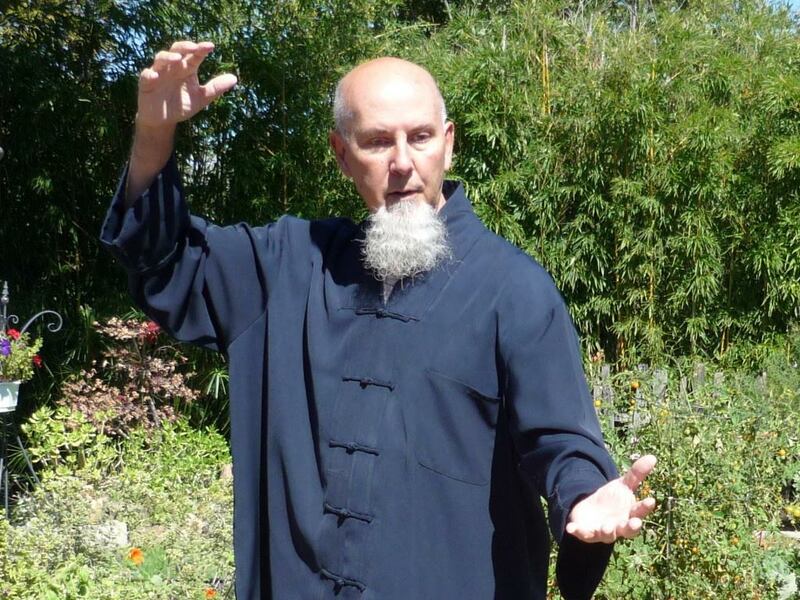 Shifu Michael’s teachings extend from local students in Sebastopol, CA to national and international qigong certification & Daoist training programs. The purpose of this 6-9 month phase of training is to provide the new candidate with a complete background in Daoist teachings, practices and history. The daily scripture recitation retreat provides the framework for the remainder of the training period. Thus reciting the scriptures is your daily practice, regardless of any other assignment. The first phase will cover the first 100 days of the 1000 day retreat. The focus will be on developing inner stillness through meditation and supportive kinds of qigong practices. When the first 100 days are completed, the candidate will then advance to Phase 2. Phase 2 will consist of the concentrated studies and written reports. The approximate last 100 days of the retreat will be devoted to finishing up unfinished work or preparations for ordination. The American Dragon Gate Lineage (ADGL) is under the umbrella organization of the Qigong & Daoist Training Center (QDTC). The ADGL was founded by Michael Rinaldini (Li Chang Dao), a Qigong Teacher, and a 22nd generation (Longmen) Dragon Gate Daoist priest. The American Dragon Gate Lineage is a non-monastic order of Daoist practitioners who have made a conscious commitment to self-cultivation and to the spreading of the Daoist View. Daoism is a philosophical and religious tradition, which has its roots in the Chinese culture, history and philosophy. The ultimate concern for Daoists is the return to the Source, which is the Dao. 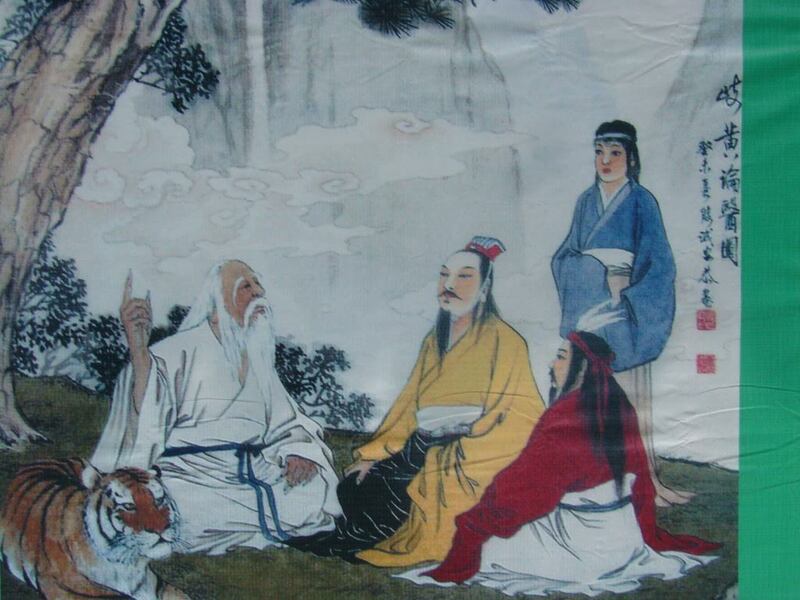 A Daoist in the ADGL studies the history of Daoism specifically the teachings of the Quanzhen-Complete Perfection school and its founder Wang Zhe (Chongyang) (1112-1170), which eventually resulted in the Longmen Dragon Gate sect in the Qing dynasty (1644-1911). The American Dragon Gate Lineage is perhaps the only Daoist practice path outside of China that emphasizes the daily practice of zuowang’s sitting and forgetting method as essential for the realization of one’s primordial state of Emptiness and unity with the Absolute Dao. Besides the core practice of meditation, ADGL adepts have a daily practice of reciting texts from a collection of Daoist scriptures in their own residence. For 1000 consecutive days, adepts recite texts from this collection. To support and nourish the above practices, the ADGL adept spends time in solitary retreat. ADGL adepts go on solitary retreats or group retreats for the same purpose. Additionally, ADGL adepts broaden the definition of retreats to include daily meditation practice to all-night meditation sessions in the privacy of one’s own home. In addition to the above practices, members of the ADGL practice a variety of energy techniques, like qigong, tai chi, martial arts, healing arts and other practices that support inner cultivation and compassionate actions. Ba Gua Circle Walking or simply circle walking is one of my favorite forms of health preservation or qigong that I prefer to practice. It is also one of the forms taught to students. I am working on my next book which will focus mainly on circle walking and also continue the ongoing process of Daoist cultivation that I am practicing. In a way, this next book will be a continuation of A Daoist Practice Journal: Come Laugh With Me which was self-published in May, 2013. Qigong Certification is intended for those who want to go deeper into qigong for personal health reasons, or because they want to become a professional Qigong Teacher.This newly revised 125 (150) hour qigong certification level is my most advanced beginner course offered so far. For those who complete the program, it is guaranteed that they will become successful professional qigong teachers. Distance students learn through communications with the teacher via emails, assigned readings, completion of the training questions, and viewing of instructional movies. Students receive a booklet (download file) of studies and assignment questions, and there are three required texts to study, and instructional You Tube qigong movies links. 1. A Daoist Practice Journal: Come Laugh With Me by Michael Rinaldini; 2. Ba Gua Circle Walking Nei Gong, The Meridian Opening Palms of Ba Gua Zhang by Tom Bisio; and 3. Qigong Through The Seasons by Ronald H. Davis. 200 or 350 hour program. These programs are extensions of the 125 hour program and are intended to help the student go deeper into different areas of qigong or Daoist zuowang meditation studies and practices. The unique feature about the 200/350 hour levels are that they are individually tailored to the student’s needs and interests. A special requirement for distance students, in either the 200 or 350 hour program is to attend my annual qigong and Daoist retreat. Without attending this retreat, Certificates of Completion for the 200 or 350 hour programs cannot be issued under no circumstances. A Daoist Practice Journal:: Book 2: Circle Walking, Qigong, and Daoist Cultivation is the second book in a series on the practices for walking the Daoist path by a modern day, western Daoist priest. This second book consists of journal entries by the author from June 2013 to October 2016. It picks up with his journey where he left off in his first book, A Daoist Practice Journal: Come Laugh With Me in February 2013. The main topics covered include Qigong circle walking, both technique and health benefits. It includes a broad range of entries on Qigong exercises, assessment skills and applications. It also presents a much deeper investigation into the Daoist meditation method of Zuowang.